This is a question 107 of New York City's sharpest students will probably ask during the 46th Annual Daily News New York City Spelling Bee, reported the Brooklyn Daily Eagle. Starting today and tomorrow, the students ranging from fifth to eighth grade will put their spelling skills to the test at Hunter College High School. Many rounds of spelling will ensue before one champion per day is crowned, advancing both of them to an all-expense-paid trip to the Scripps National Spelling Bee in Washington, D.C. on May 31. 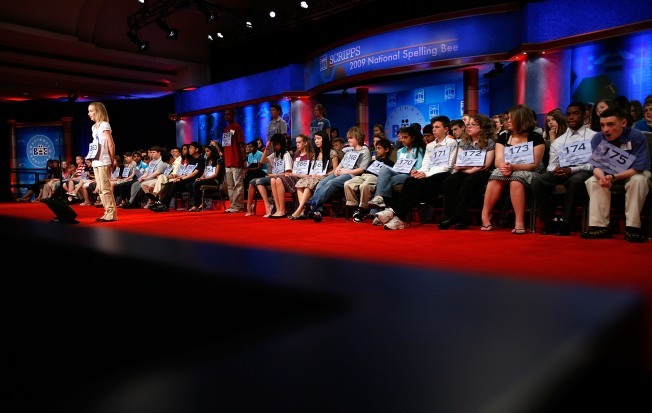 Prior to the competition, hundreds of private and public schools narrowed down spellers in classroom spelling bees throughout the city. Besides bragging rights, the two winners will get a trophy, a laptop from sponsor P.C. Richard & Son, tickets to the upcoming 101 Dalmatians on Broadway, and passes to Medieval Times in New Jersey. Every student win or lose will receive a $25 gift card for participating.